Another year and another Sebago Cup. This is our annual cruising class race. For dinghy racing this is an unusual race. 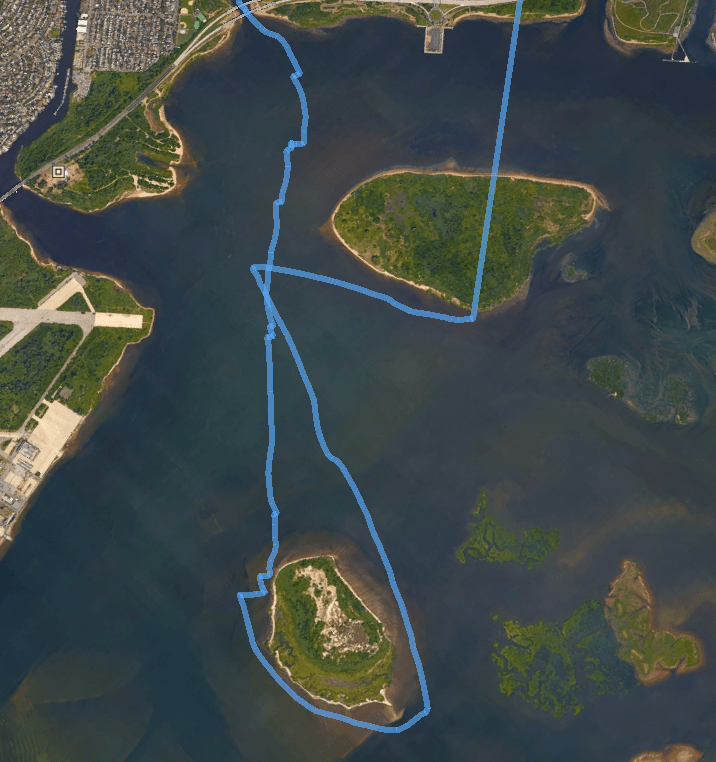 It is a cruising race – a distance race that usually circumnavigates our main islands in Jamaica Bay: Canarsie Pol and Ruffle Bar. It occurs only once a year, in the fall, and this race is a favorite race among our sailors. This year the weather was beautiful but the winds were on the light side. We had N/NE shifting winds from 6-11mph. The course rounded Canarsie Pol clockwise, going around the day mark to port then back to the east point of Ruffle Bar rounding the island to starboard and passing around the green can between Ruffle and Little Egg to starboard and continuing around the island back to the finish line along Canarsie beach. We estimate the total distance “as the crow flies” at around 8.5 miles. As with all races, tactics and strategy are important but a wrong decision in a distance race can have mounting repercussions and significantly add to the distance sailed. Jim Luton was PRO with an assist from Holly Sears. We had 16 boats and 18 participants which included three lasers, nine sunfish, a V15, a Tammie Norie and a UFO (guest Bill Heintz). Ben Cripton (son of David Cripton), a youth sailor, defended his title from last year and took first overall and first laser. Rune Hanson, coming up on his one year anniversary of sailing a sunfish, defended his title from last year as first sunfish, and he placed third overall. Dino Ness was second laser and second overall. Liz Guillet was third laser. Patrick Daniels was second sunfish. And Miles Green was third sunfish. There was almost an hour and a half of time between our 1st finisher and the last finisher in the fleet. Additionally, we had several new sunfish sailors from our annual class join us, who did quite well, in particular Max Loshinsky finishing as fourth sunfish, eighth overall over some of our more seasoned sunfish sailors. In true Sebago fashion we finished up the day with eating, race discussion and awards.